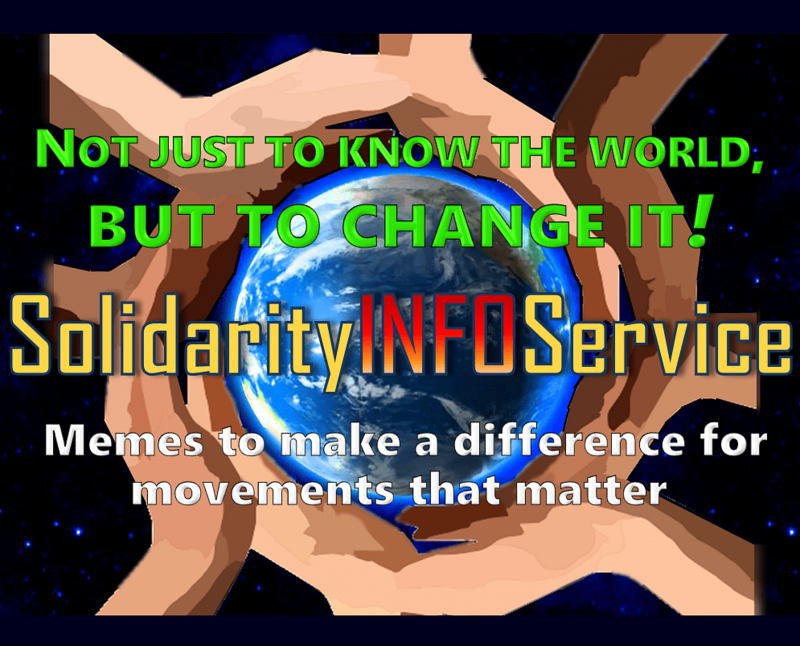 Sign up for weekly notice of new memes or SolidarityINFOService news lists. You are welcome to use these memes, so long as you do so in a manner that is consistent with the progressive values and mission of SIS, and credit SolidarityINFOService as the source. Give them exposure to a wider audience by “liking”, sharing and posting to your social media accounts, sharing in email messages, adding to newsletters and flyers, and posting to your website. If you value this work and want to keep it going, a donation in whatever amount you can afford ($25-$50/year suggested) will be greatly appreciated. All content on this site is subject to Creative Commons license. Use, share, revise – but not for commercial purposes.